Anna Mazoń is a jewellery designer from Cracow, Poland. She started making jewellery in 2008. Her pieces are always hand built, full of fine details, having a slightly dark, fantasy vibe to them, combined with a refined organic feeling. They are inspired by nature, ancient cultures and literature. Her materials of choice are sterling silver and bronze. 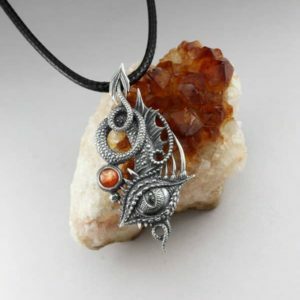 She often combines metal clay technique with traditional metalsmithing. Photos of Anna Mazoń’s jewellery have been published in books and magazines, including covers of Handmade Business (April 2016 and August 2015), Metal Clay Artist Magazine (Winter 2013) and Metal Clay Today (Summer 2018). She’s been either a finalist or winner in the Saul Bell Design Award in the Metal Clay Category in 2015, 2014 and 2013. Anna is also a renowned metal clay teacher. She’s been teaching in different studios, all over the world since 2013. 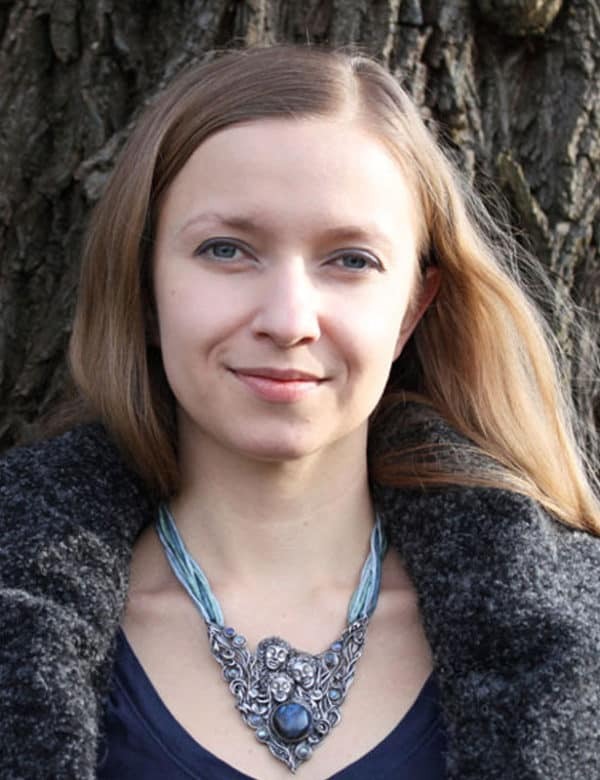 Anna Mazon is visiting the UK in May 2019 to teach two master classes in Cornwall, South West England. She has been a regular visitor to the UK over the past few years and her classes are always popular. Below you can see the two classes she will be teaching at CSACJ. Both classes are suitable for complete beginners to metal clay. The classes will teach a number of metal clay techniques using Anna’s unique approach. Check the class pages for more information about what each class will cover. 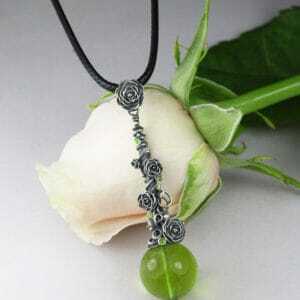 The price of the classes includes silver clay. Some additional materials are required and these are listed on the course pages. We’re really excited to have Anna coming to Cornwall to teach. If you’d like to ensure a place on either of these courses, please book early to avoid disappointment. This metal clay class is open to all levels.